The first draft of this post was about another book actually, but I didn’t manage to finish it in time, therefore I had to delay it to December. 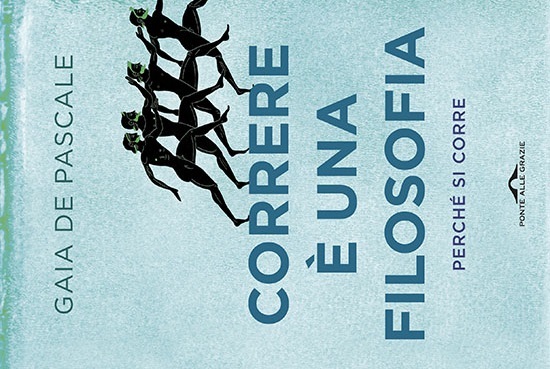 So, this book “Correre è una filosofia”, so Running is a Philosophy is currently available only in Italian, but as many of you are Italian, I guess it was fine talking about it. What to say about this book? Well, it’s honestly the first book about running I really loved, from the beginning to the end. It’s not as technical as Paula Radcliffe’s, not as personal as Alexandra Heminsley’s Running Like a Girl and not really focused about running. The key point of the book is what makes you run, why running becomes the centre of your life and, last but not least, why running is a philosophy. I found gripping the fact that at the beginning of the book there was a list of every character who was going to run through the pages of the book, including (among others) Paula Radcliffe, Forrest Gump and Marco Olmo. Fair enough to say if you are looking for a guide to start running this might not be what you are looking for. Why might? I believe running is something you feel, as long as you don’t go competitively. This book makes you understand the feeling. The effort. The challenge, the one between you, yourself, your ego and your excuses. This book makes you look forward to your next run and to your next accomplishment. Because running could seem an easy peasy lemon squeezy sport, but it’s not. Just because it’s natural, it doesn’t mean there’s nothing behind it. What has fascinated me most about the book, was the approach the authoress had about running: of course she was pretty expert about the theme, but she didn’t just show up her amazing knowledge of the subject, she used simple words, not that specific, and made you follow the story. By the time you reach the end, you really start to believe No matter how slow you go, as long as you don’t stop is something not only related to running, but to life in general. Because that’s it: Running is a Philosophy.